We have almost, completely wiped out our intake of canned soup, whenever possible. *clap clap clap* I am happy that I can monitor what goes into our tummies at home especially when there's a fair share of yucky (but some not so yucky) food intake from outside too. 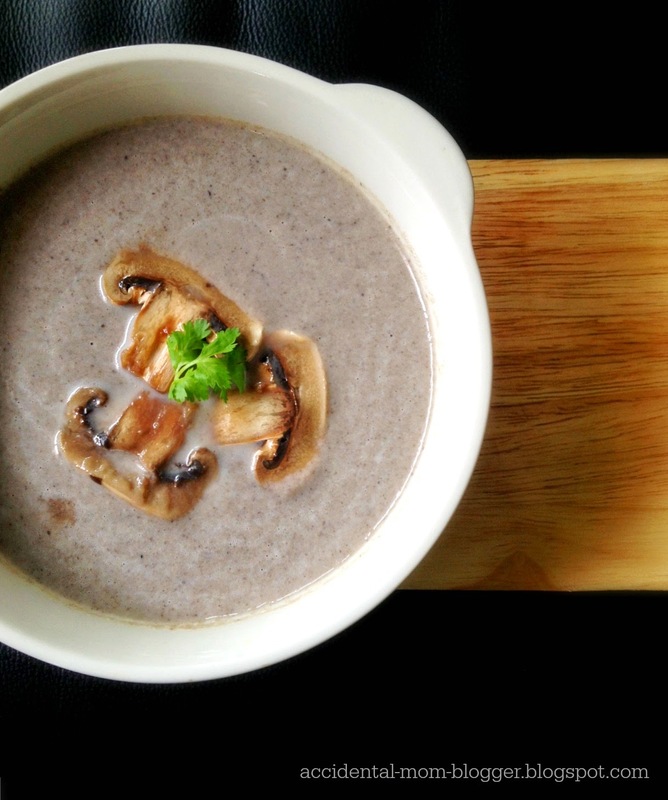 Creamy soups are not impossible to make when you have a blender on hand. 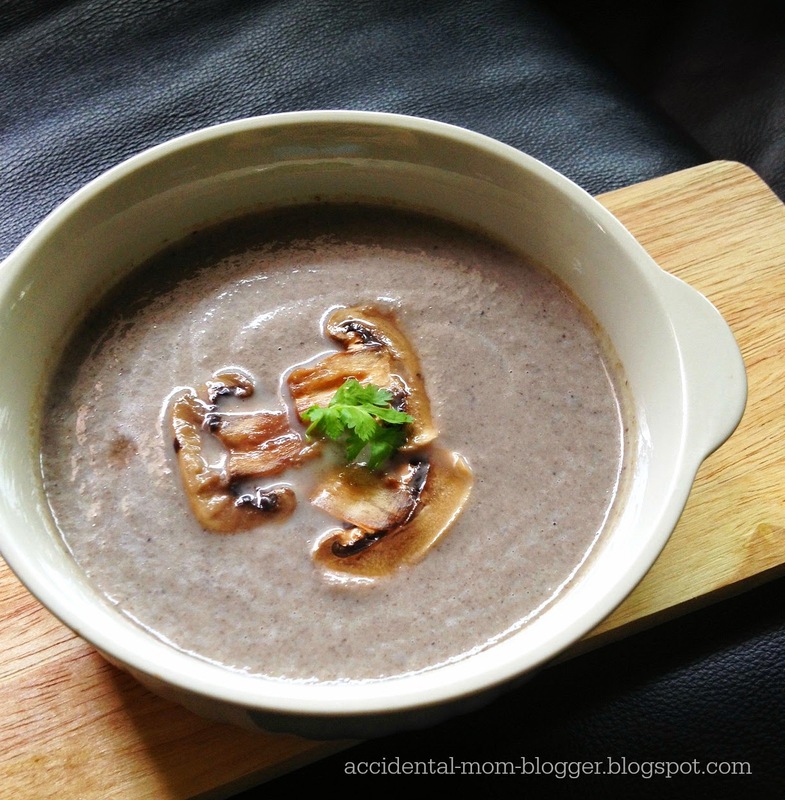 If you, like my family who simply adores mushroom soup, then you may be keen to try this out in your kitchen the next time. It's simpler to prepare than you think and this is my 5th time making it. It will definitely go well with your, pizza, pasta, roast chicken or shepherd's pie. Or any western meal for that matter! - 1 box white or brown button fresh mushrooms (about 10 pcs) + 1 box shitake mushrooms (about 12-14 pcs) + 1 box small portobello mushrooms (about 10-12 pcs). Washed and cut to smaller size. - melt butter in pot and add in garlic. Saute till fragrant. - add stock and milk. Bring it to a boil then reduce the heat to simmer. 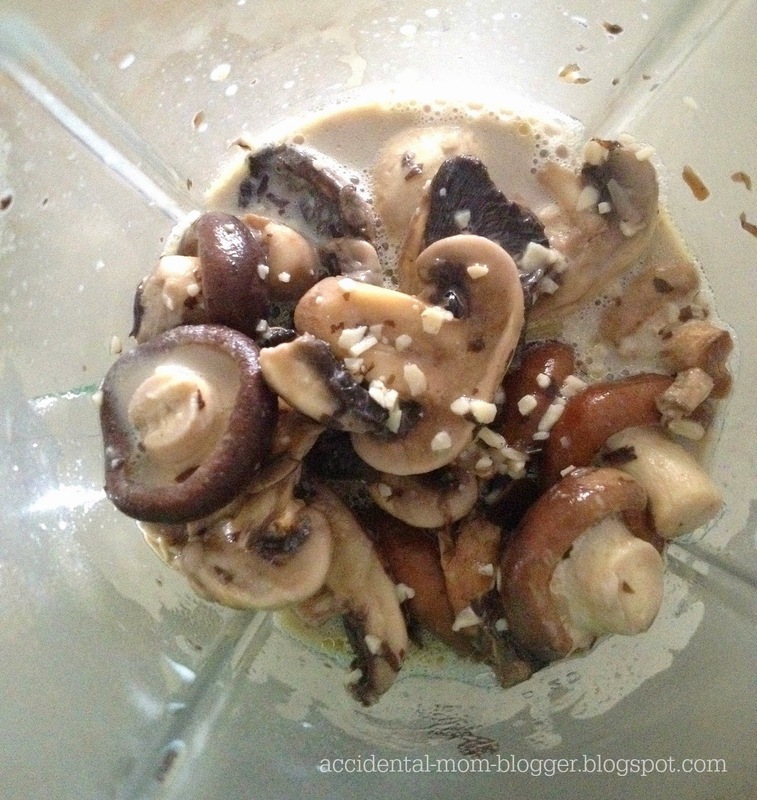 - Once the mushrooms are tender, remove from heat and transfer everything from the pot into a blender. - Process till smooth consistency, before returning into the pot again. If it's too thick, add a bit more stock. - Serve while it's hot!